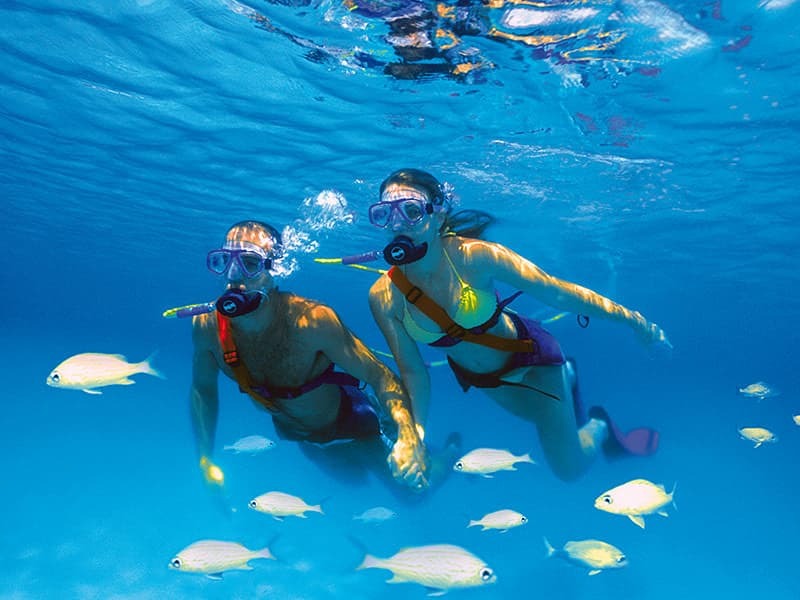 Feel the freedom of exploring the ocean among hundreds of tropical fish. 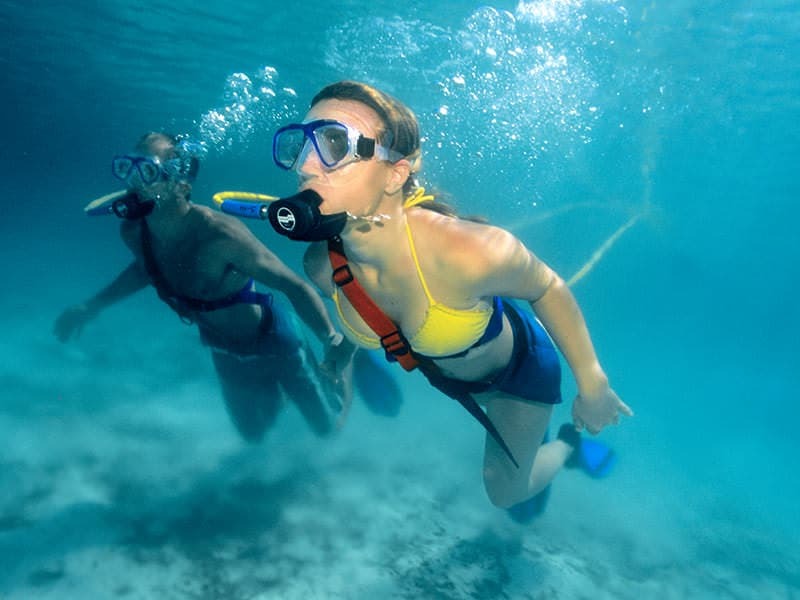 Amidst the ease of snorkeling and the freedom of exploration that diving offers, comes this new and fun experience. Enjoy this incredible opportunity and dive into the crystal clear waters of Xel-Há and swim among colorful fish and amazing underwater vegetation. 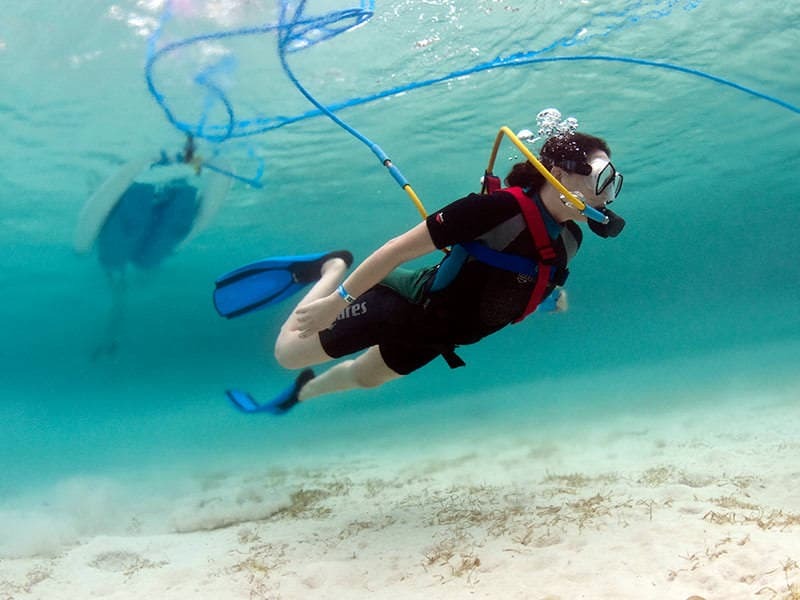 The sophisticated equipment of Snuba® Xel-Há gives you all the freedom of movement and ease of breathing underwater, facilitated by a raft carrying a tank of oxygen. 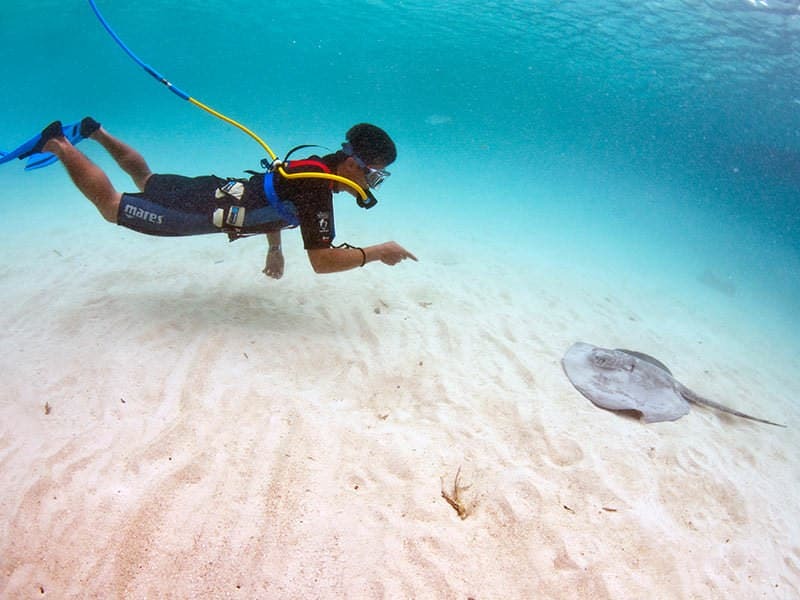 Come explore the sea and admire the great variety of flora and fauna that enriches the waters of the Xel-Há cove. Tour guided by certified diver. To offer you a better service, remember to confirm your activity reservation upon arrival to the Park, where you will be able to choose your preferred schedule. It is necessary to bring two printed receipts, one to present at the Park's ticket booth, and the other to present at activity's location. Activity not recommended for pregnant women or those suspected of being pregnant, and for people who suffer hypertension, diabetes, heart problems or asthma.